That moment when your professor says, "Lizzy, for this assignment you get bodygroomers!" Confidence can pop up where you least expect it, just like body hair. Once you start grooming the latter, you're likely to have a lot more of the former. It's about time you got to know Groomed You. Head's up, Groomed You would like a few words. Tweet at @PhilipsNorelco with the hashtag #wwgmd (what would groomed me do) to tell them what you're up to these days, and they may just respond with a quick video of what Groomed You would be doing. After aggregating submissions, Norelco chooses their top five and hosts them on their YouTube channel. The Groomed You video that gets the most likes on YouTube wins. Whomever originally tweeted the winning scenario becomes the star of the upcoming Philips Norelco Super Bowl ad. 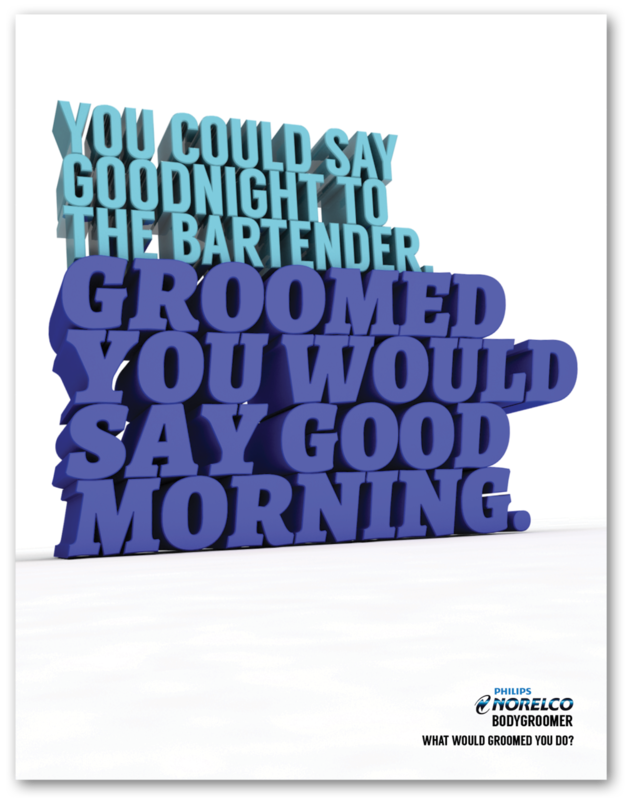 Norelco helps spread the word for the final contenders. From Twitter submission to ad celebrity, the transformation from You to Groomed You is complete.